A heartfelt glance of love, a scream of a tragedy, a monologue of inspiration all grace the stage at the Center for the Arts. The CVHS Drama Department features around 160 stars in the theatrical productions throughout the year. The theater has been making a large impact on many CVHS students for several impactful years. “Before I started performing, I was painfully shy. I hate meeting new people and I couldn’t stand public speaking. But after I’ve joined the theater program, that has completely turned around. Theater brings out the best in me and I feel so much more confident in myself. I am thankful for all I’ve learned and all I continue to learn from this incredible art form,” said senior Gigi Bjork-Nelson. The department is widely known throughout the community for its terrific on-stage, live performances of plays and musicals such as “Guys and Dolls” and “The Crucible.” Actors are able to prepare in class, run lines, and attend workshops and even field trips to watch shows or musicals. “I learned how to lie for a living, and hopefully I get to do it for the rest of my life,” said junior Mia Way. The drama program has impacted the lives of so many young actors. Students in the drama program are exposed to many job opportunities, extra auditions, and chances to see shows all around the Bay Area. Going to see the famous play “Dear Evan Hansen” and a large field trip to Ashland, Oregon have been some of the highlights thus far in the year. They are able to go and see many shows that theater teachers David Judson and Tiffany Daily hope will connect students passions’ to a career. Judson, who has worked with the program for 15 years, and Daily, who has worked 24 years, have been instructing the young CVHS actors and co-coordinating the three levels of theater classes offered. “We have one of the biggest drama programs in the state. 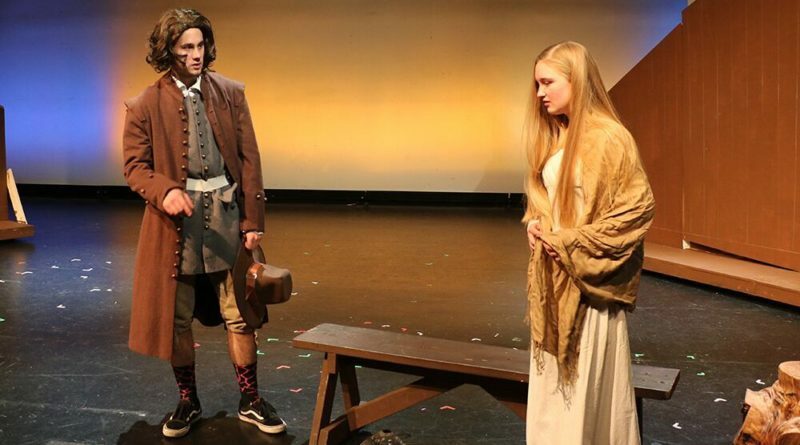 We are one of the more decorated programs competing in socal competitions against 2,000 other young actors. Our program is outstanding because of the great kids we have who are able to win medals in these competitions that are judged by professional directors,” said Judson. “Most high schools usually only have two to three but we have the full slate. We’re very lucky that the program is successful. Our success is dependent on ticket sales that bring in new shows. We’re trusted by high organization to test out shows with our cast and work with the newest technology on stage,” added Judson when asked how our CVHS drama program stands out. The program has even produced some great actors who’ve been in the spotlight on further national tours and shows. Students who participate in the shows after school put in long grueling hours of rehearsal and run throws. Even during tech-week, a week of dress rehearsals before opening night, students practice up to 5 hours a day. Overall, the department never fails to put on a good show. It is clearly filled with dedicated and passionate students that are here to put in work. They are producing wonderful productions with great student actors, never coming up short on excellence.